As I'm traveling across the country I see many people surprised that I hunt in Massachusetts. I travel a lot to the southern states and they're always talking about ranch deer, and muleys etc. I start talking about hunting in Massachusetts and people think I'm crazier than I look. 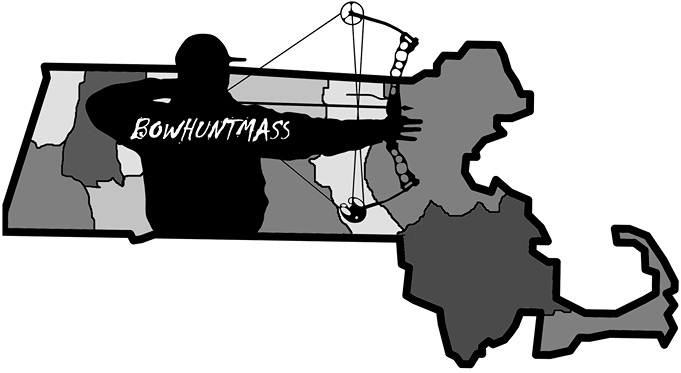 There's a bunch of different ways to approach hunting in Massachusetts. You can listen to all the doubters who will tell you that there are less dear per square mile in Massachusetts than pretty much any other state in the U.S. but that's not going to help. If you're from Massachusetts and you can't afford an out of state license you're stuck with hunting what god gave us for land. In the following few paragraphs I will break down what it will take to land a buck worth bragging to your friends about. If I could choose one step to be an effective hunter it would be to scout until you cannot scout any more. Not to knock on Field & Stream or other deer hunting magazines but let's face it... we're hunting Massachusetts not some deer infested land in Kansas. We need to scout, and by scout I mean visibly see the deer, spook them, jump them, do whatever you need to do to figure out there are DEER in the spot you're going to hunt. I have never shot a deer in Massachusetts without seeing him days prior. I typically scour the woods in Holland, Massachusetts and I will walk the land until I see some actual live deer. 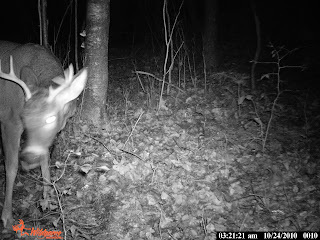 I stop at scrapes to see how fresh they are but typically I do not decide to hunt a spot unless I see actual whitetails. This is a common mistake of a Massachusetts hunter. Typically a hunter will sit, and sit, and sit, and sit until his feet are frozen and his boogers are freezing in his nostrils. 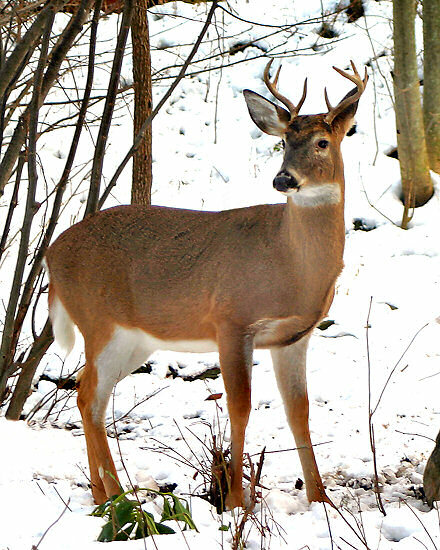 Go for a walk, find where the deer are bedding, leave the deer alone for three days or so and they will return! Once you've identified where the deer are by actually SEEING them during the day, then you know where you need to be in the morning. I suggest you get up at 5 depending on how long it takes to get out of bed, showered, dressed and to your spot. For me I like to be in my spot as early as legally possible, 30 minutes before sunrise. I want to be in my climber or one of my stands and silent for 20 minutes before the sun starts to show itself. 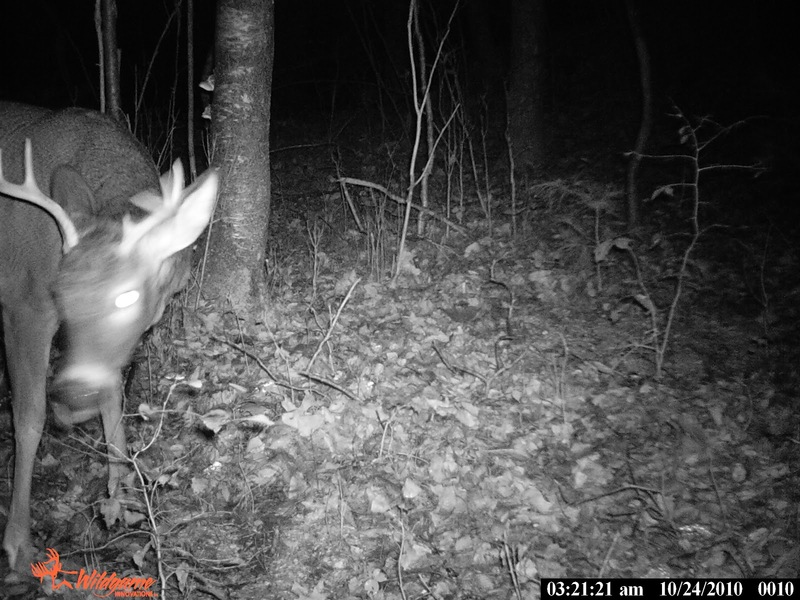 This is the time the deer are the most active so it's important to be quiet setting up your stand and silent once you're set up. The deer will soon be coming. It's not a bad idea to increase the probability of success by placing your stand in between where you last saw the deer and the main water source (river, stream, etc.). 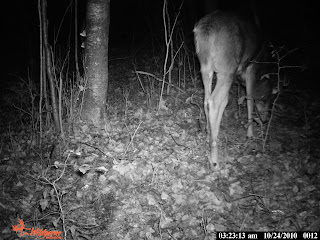 If I had a penny for everytime I left my stand at 9 o'clock and I see a few deer on my way back to my truck I'd be the richest man writing for this blog. In Massachusetts if you're leaving the woods before 11AM you're missing out on deer. Once you've established the spot where you've seen the deer, you are expecting them to return. You should be in before sunrise, and sitting silent for a long time. Don't fall asleep in your stand that will NOT fill your freezer. At 11AM if your feet and hands are cold there's no sense sitting out there any longer. I would suggest leaving the woods to get some food and returning around 2PM. If you're serious about your hunting, stay in the woods all day. If you're trying to get into your stand before the sunrise try not to use a flashlight. 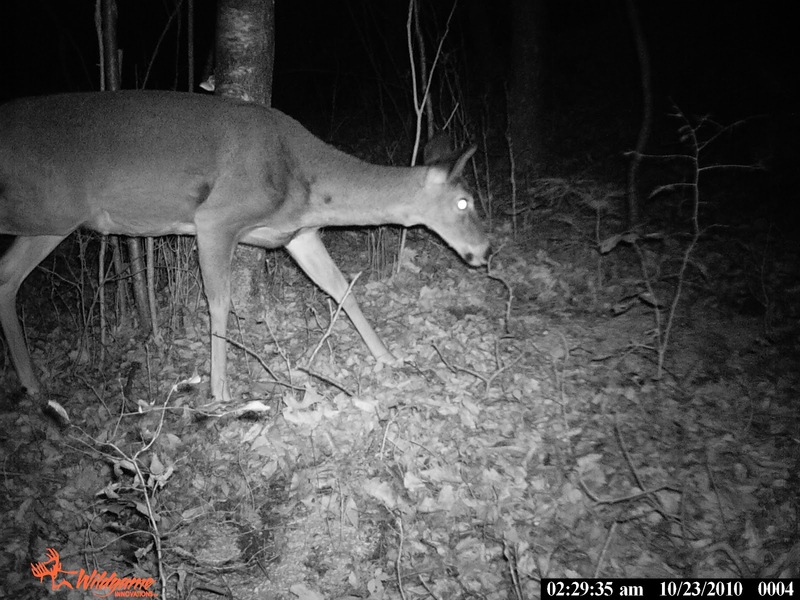 If for some reason you slept through your alarm and you're trying to get to your stand at or slightly after the sunrise be sure to keep low to the ground. I'm not sure exactly why it works, but stalking on all fours is an effective way to navigate a deer infested area without jumping the deer. Don't believe me? Try it! This Monday I've recieved a text message from my uncle telling me about how he lost a 6 pointer in Webster, MA. He shot it a little low, followed the blood trail until he lost it. I figured, I'd write something on how to track down that deer to ensure you never lose a buck no matter the time of day. Rule #1 Giving up is not an option. A lot of hunters will take a shot, go look where the contact was made and assume they missed the shot. Giving up in this situation can result in a lost deer. There's a handful of hunters who have told me they've heartshot their deer and it never left a trace of blood. Tracking STARTS with preperation. You should always be prepared to track your buck, bring along some markers to help you follow the trail. You will also need a flashlight (depending on the amount of light). When the initial shot is taken it's very important to keep your eyes and ears on the deer at all times. Try your best to follow the deer for as long as you can when you can't see the buck, try listening for the fall. 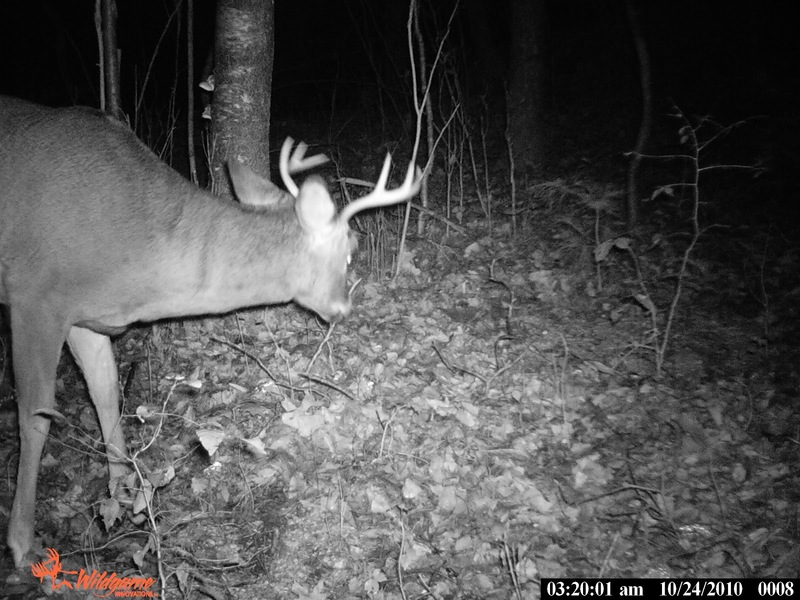 If you're bow hunting NEVER leave your stand earlier than an hour after the shot. I was in the woods last November and I shot a small 6-pointer, I came out of my stand about 40 minutes after the shot (which was high) and I went looking for the buck only to find a large blood pile and no deer. I left the area for an hour then returned to find the buck dead about 50 yards away. If you're in a tree stand at time of contact this is a huge advantage. Use the height to your advantage and follow that deer as long as possible. Keeping in mind where the buck was shot, where he ran, and try to remember the last "landmark" you saw the deer running past. A "landmark" will most likely be a rock, stump, tree, small path, anything that you can remember seeing the deer run past or near. This will be helpful if the blood trail is difficult to follow, due to light conditions or rain. When you get down from your stand be on high alert, use your LED flashlight for assistance if needed. It also helps to have a hunting buddy to help you mark spots and keep his eyes out. Four eyes are better than two. When you have lost the trail, start creating a 10-15 foot circle around the last blood spot you've found. If you find blood spots about the size of a basketball there's a good chance you have a dead deer nearby. If it's more the size of a golf ball, you're going to have to look a bit harder. If you're serious about finding your deer it's a good idea to mark each peice of "evidence" like you're a CSI guy. After all, you're as close as you're going to get. Be sure not to walk on the same path as the deer. Chances are you will be able to see the ruffled leaves along the blood trail where the deer has been running. Sometimes the leaf prints are easier to spot and can help you when the blood trail isn't visible. Keep in mind, you WILL find that deer, it's a percentages game, the longer you look for that buck, the greater the chances you will find the buck... dead or alive. Giving up too soon can cost you meat in the freezer. Why can't I hunt on Sundays in Massachusetts? This is a question I keep asking myself and my grandfather. Sometimes when we're driving to our hunting spot, we talk about hunting regulations. So why can't I hunt on Sundays? Is it because it's a day of rest? I mean we're letting gay people get married, yet we're holding strong to our no hunting on Sundays? Are the people making these regulations aware that MOST hunters work M-F and are only allowed one day to hunt each week? Is it because the gunshots will make a lot of noise? I bow hunt. That's damn near silent. Today I went into the woods around 6 o'clock this morning just before sunrise. I sat in my stand in Holland, MA for about 2 hours until my boredom got the best of me. I never let the cold get the best of me, when I was too cold to sit any longer I went for a walk to scout the afternoon hunt. I walked straight uphill for about a quarter mile until I came to a stone wall, I was as quiet as possible, taking a few steps then stopping to observe my surroundings. Listen, look but no sudden movements. It was then I jumped a group of deer. By the time I realized what I had done I was looking at four whitetails flapping as they went down the hill. The biggest buck trailed the pack, I believe he's an 8-pointer, pretty good size. I will probably get him next week. By the way today was scheduled to be the best day of the rut action wise. I can't argue it was a pretty good day for activity. If anyone is reading this... keep this in mind... The longer you're in the woods, the greater the probability of seeing a deer. Think of that the next time you start getting squirmy in your stand. A lot of people laugh when I tell them where I hunt. I usually do not hunt much further than my own back yard. I think I'm a lot like most casual hunters, I love to hunt, I do not have a ton of money and because of my job, I don't hunt nearly as much as I'd like. I've been given advice from every deer hunter in the world. Always approach from down wind of a buck etc. etc. Never let them see you come into the woods. My objective is to share with you what I consider to be the 10 commandments of a deer hunter. 1. Get in the woods 30 minutes before sunrise. I don't care how you get in the woods. Some say run because the deer get curious, I don't believe that so much. I think the reason people believe that is because while running they spook/confuse the deer into not knowing where you are. Getting in the woods earlier than other hunters WILL give you an advantage. 2. Always wear cover scent. My grandfather believes that it doesn't matter what you smell like, deer are curious and like to find out what that smell is. I'm a skeptic, I believe that you WILL increase your chance of landing a deer by covering your human scent. 3. Always bring a knife. You may think this commandment is petty, but try to gut a nice buck on a cold November morning without a knife. Honest to god, the first deer I ever got was when I forgot my knife at home. I was bow hunting near my job site in Sturbridge, MA and sure enough at 7:50 am the buck came to my stand and I got him. Imagine the horror an hour later when I found the buck lying dead in his tracks and no knife in my pocket. I'm not saying the experts are wrong, but listen if you're relying on the moon to be right before you go hunting, you have WAY too much time on your hands. 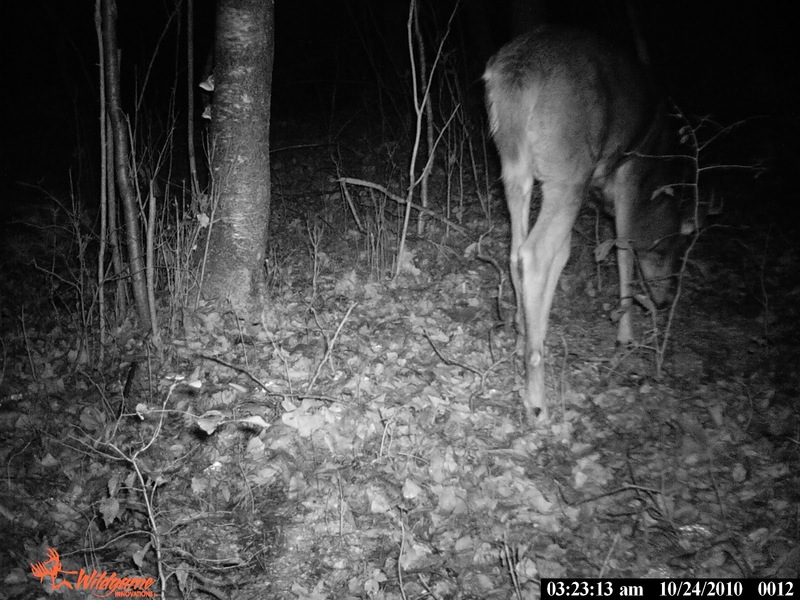 The experts are always talking about the moon phase and how it aligns with deer feeding habits. Well that's true... but when is the last time you saw a deer hunter LEGALLY in the woods at night... Why not stick to the rules of the hunt, come in 30 minutes before dawn, leave 30 minutes after sunset. If you want to increase your chances of landing a deer stay in the woods all day, following moon phases is a waste of time. 5. 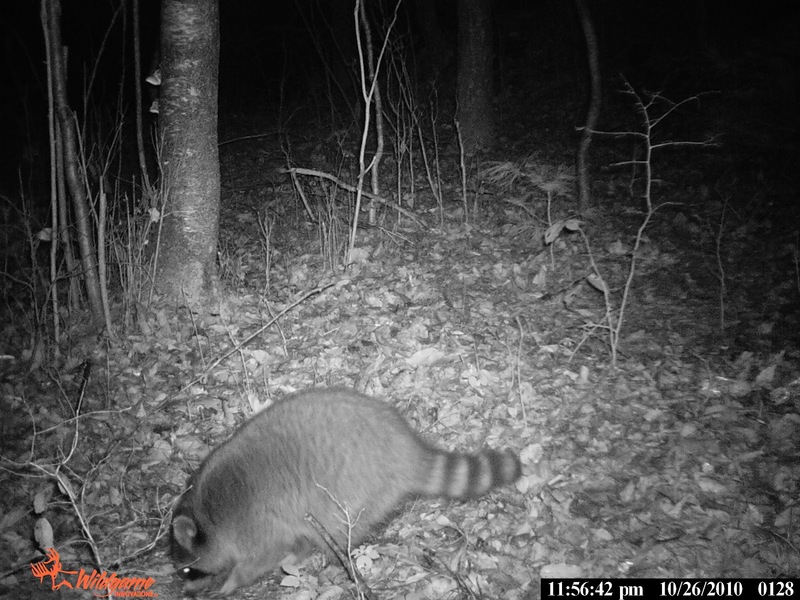 Use trail cameras with caution. One of the biggest bucks I've ever seen in Holland, MA was a 14 point beautiful mature buck. 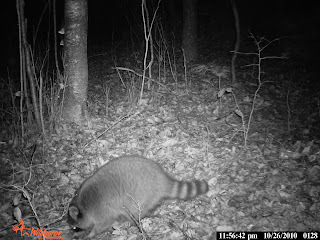 I caught him on camera at 5:45 am two years ago, You could see he was clearly frightened by the camera noise (which was barely audible). 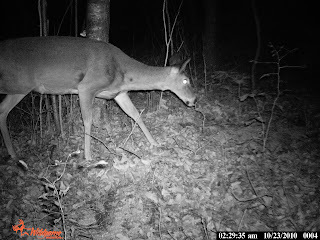 Don't risk it, the best way to know if deer are in the area is to check scrapes and rubs. 6. Don't move in your stand. Deer don't look up, so they say. Well that's true too for the most part. Unfortunately, they don't have to "look up" when they're 50-100 yards away, any movement will make them nervous. 7. Don't take a fawn. I know what the argument is, and I don't care. If you're going to take a fawn and tell me "it's all I saw" all season, you're pathetic. I'm an avid hunter and if all you're seeing are fawn you're a terrible hunter and you're not being patient. Every hunter worth his weight knows where there are fawns there are mature does. Wait for one of those. 8. Go to the bathroom before you leave the house on every hunt. Here's another one of those "duh" commandments but trust me when you're 20 feet up in a tree clinching your cheeks you're going to wish you followed this commandment. 9. Always tell someone where you're hunting. If you ask me, I'll tell you straight up. Don't go hunting alone. Not because you're not careful, not because I'm afraid you might get lost or hurt or tired or shot at. I want you to bring someone hunting. I personally ask my grandfather every single time I go hunting. Sometimes he comes sometimes he doesn't. There are few better ways to spend time with a loved one than to take him/her hunting. If you can't bring a friend or family member, be sure to leave a note where you're hunting JUST in CASE. 10. Always say a prayer before heading into the woods. I use to laugh when my grandfather would sit in his pick-up truck and say a little prayer he called his hunters prayer which went something to the effect of "let me arrow be straight and the kill be swift" ... something as simple as this may make a difference in your next hunt. It's a good code of ethics, if you don't know for sure you're going to kill the deer, DON'T shoot. If you're a local reading this and you're looking for a good place to hunt you're s.o.l, I won't tell you exactly where it is that I've been but I'll show you some pictures that I've taken over the last few months in Holland.